Personally, I find the concept of calorie counting very time-consuming and almost debilitating as part of a lifestyle strategy. Having said that, I do think that calorie counting has it's place and can be a great tool to increase awareness. The monitoring of your calorie intake can be a huge eye-opener, especially for those that eat very impulsively and binge frequently. I know when I’ve counted calories in the past, it provided me with a level of awareness that I simply couldn’t get from estimation alone. To me, I see calorie counting as a very reactive approach i.e. you eat something and then go through the trouble of logging that food in a journal, spreadsheet or smart phone app. 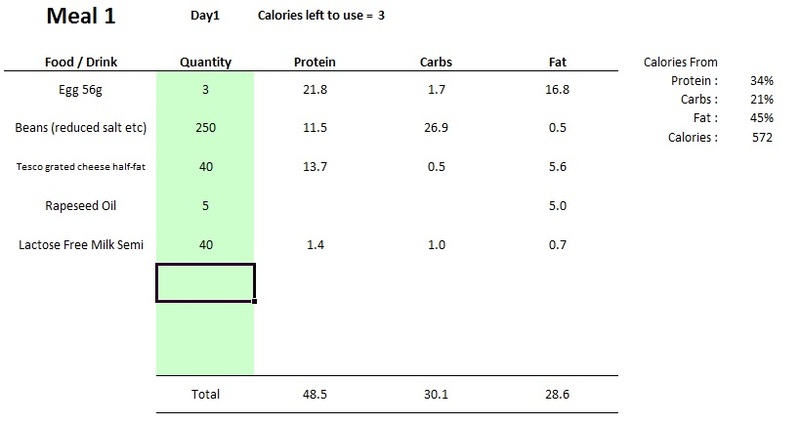 So I've put together a few alternative suggestions to traditional calorie counting. As a sidenote, you can get a good spreadsheet to track your nutrition intake here. 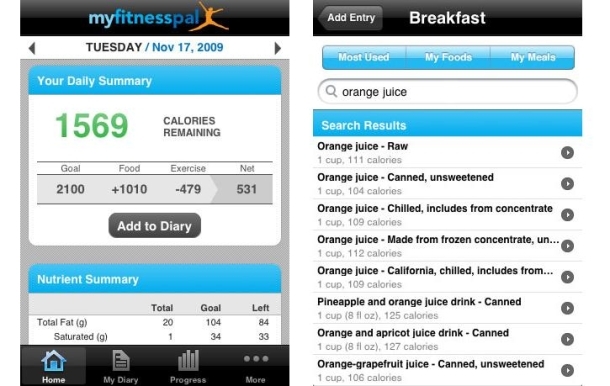 If you'd prefer to track your nutritional intake on a smart phone, myfitnesspal is a highly recommended app. A more proactive approach to calorie counting is to create a menu plans instead. This way you’re not having to log calories after every single meal, you simply refer to your plan and prepare foods using the same measurements. You don’t have to keep tracking your calories after each meal. You have a structured plan to follow, which reduces the chances of eating haphazardly and emotionally. You may feel limited in your meal choices, however, there’s no reason you can’t continually add a variety of new meals to your plan as you go. You need to spend a little time creating personally tailored menu plans. However, alot of time would be saved in the long run. Alternatively, you could use a hybrid approach between calorie counting and menu planning. With this approach, you would create a menu plan and add any unplanned calories to the total. I found this to be one of the better approaches, since it encouraged me to stick to my plan. The hybrid approach also had the hidden benefit of making it a pain to tally up unplanned calories with planned calories. In other words, this approach helps to increase compliance, while at the same time providing the freedom to eat outside of a plan. I think having the freedom of choice is extremely important psychologically, since it’s human nature to crave what we can’t have. So having the option to eat outside of a plan alleviates the pressure of sticking to a rigid eating schedule. Another alternative to calorie counting is to guestimate caloric intake by eyeballing and assessing food portions. This approach can work well if you're good at remembering your intake obectively (i.e. you don't emotionally binge too often or "forget" the calories from slipups). 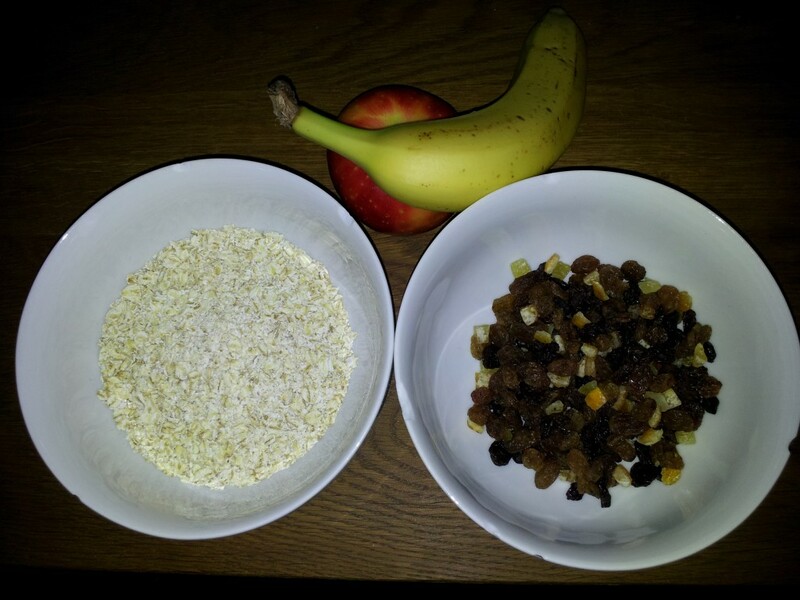 This type of approach requires a honed ability to guestimate the calories in various portions of food. Many people however, have a tendency to confuse “healthy” with “low calorie”, So they sit and eat excessive amounts of dried fruits and nuts, because the serving sizes look small and it’s okay because it’s “healthy”. For the eyeballing approach to work effectively, you’d need to be aware of calorie density and have a good track record of avoiding emotional eating. Peanut butter can contain as much as 600 calories per 100 gram serving! Another alternative to counting calories would be by using hunger to gauge your food requirements. Out of all of the approaches mentioned, this approach is the most liberating. Allows a great deal of freedom when compared to other calorie counting alternatives. The principles can be utilised all year round no matter where you are i.e., holidays, social events and other situations that would make sticking to a plan more challenging. Hunger can be very misleading and it's possible to feel “hungry” for many different reasons, including emotional distress, neurotransmitter deficiencies, mild dehydration to name a few. Since many people eat unconsciously, they don’t pay attention to why they’re actually eating in the first place. There’s a big difference between true physical hunger, and the hunger experienced in response to emotional, or other types of cravings. As a generalised rule of thumb, real physical hunger is indicated by a desire for any food. i.e. if you were hungry enough you’d eat just about anything. Other types of hunger often show up as cravings for specific types of food. Physical hunger can be satisfied when you feel full, whereas emotional and other types of hunger can cause you to eat beyond that feeling of fullness. Even beliefs can have this affect, such as the belief that you must clean everything off your plate otherwise you’re wasting food. If this belief is ingrained strongly enough, it can be quite easy to unwittingly consume too much. What many people experience day-to-day (at least in the western world) is not real hunger. It’s typically learned habit (breakfast, lunch, dinner and snacks): emotional, environmental, stress related, social occasions, mild dehydration, beliefs and about 100 other things. In fact, I’d hypothesise that the majority of our everyday feedings have little to do with true physical hunger. This is especially true if you live a sedentary lifestyle and expend minimal calories throughout the day. Another potential drawback is with the lack of objectivity. A lack of objectivity can make it very easy to overindulge, especially if you have strong emotional beliefs or ties to food. You can of course overindulge even if you have a nutrition plan. The difference however, is that when you’re tracking your intake it’s very hard to overlook an extra thousand calories from pizza. On the other hand, if you’re eating emotionally or mindlessly, it can be very easy to overlook the slipups. Some people claim that they can’t lose weight no matter what they do, however, this can almost always be explained by the underestimating of calorie intake. Some people don’t realise the extent of their unconscious eating behaviours. They tend to remember the good days of the week with high compliance, but forget the little indulgences that add up. Such as the 2000 calories from Fridays restaurant meal, the 500 calories from a slice of birthday cake and the 1000 calories from a big bag of popcorn at the cinemas. Hell, that’s only three indiscretions in a week and enough to halt weight loss. Nevertheless, the laws of thermodynamics apply to everybody, so when a person claims they can’t lose weight despite a calorie deficit, this can almost always be explained by the “forgotten calories”. One other point, If you take a look around any shopping centre or high Street, the amount of fast food restaurants springing up all over the place can’t have escaped your attention. So if you’re out and about and rely on appetite to dictate your next eating decision, it can be easy to look for something quick and convenient. Again, this could be the case even if you have a nutrition plan, however, with a plan you can always make preparations in advance or compensate later. From memory, I believe it takes the satiety mechanisms up to 20 minutes to signal your brain regarding fullness. So if you have a tendency to eat so fast that you barely have time to chew, then the satiety mechanisms may not even kick in before you finish a meal. This is especially true when it comes to liquid calories which have little to no satiating value. At least if you're journaling your food intake, you can offset those calories and make substitutions. Some people recommend that you should just “listen to your body”, and not overcomplicate things with all this calorie counting and nutrition planning nonsense. In a perfect world I would completely agree, however, on top of the drawbacks above, it’s not always as simple as “listening to your body”… At least not for everybody. As I’ve mentioned, most of our eating triggers have little to do with real physical hunger. So unless you’re very self-aware, it can be difficult to distinguish true physical hunger from everything else. Of course, some people out there do use an entirely instinctual approach and do very well with it. However, I have a few points to make as to why I believe this is the case. The bulk of our daily actions have nothing to do with willpower. Most of our actions are unconsciously motivated and are a representation of our beliefs. If you took a fitness model that truly believed their body was a premium machine, that food is for fuel, and that junk food is not only harmful but completely inefficient as a fuel source. Do you believe this person would struggle with the decision to walk straight passed a fast food restaurant? Probably not. If you took a vegetarian that was disgusted by the notion of eating meat due to their own moral code and beliefs, do you think they’d need to use a lot of willpower to resist a big greasy steak? Again, probably not. What if you believed that food was only to be enjoyed, that you HAVE to induldge yourself when you eat out, or if didn't rank health very highly on your list of priorities. Do you think you’d be as picky as the fitness model about what you put into your body? Beliefs aren’t always as clear-cut as the examples above, they’re typically a combination of viewpoints that lean more in one direction or another. So a fitness model is more likely to lean towards the premium machine mentality, with a high rate of compliance. Whereas an obese individual may lean towards the other end of the spectrum, with a great amount of lenience. If you want to find out what your real beliefs are, observe your actions! Anyway, the point I’m trying to make is that we are all wired differently. So if you were brought up in an environment that encouraged healthy eating, moderation and a lean person’s mentality towards food, you probably wouldn’t need to count calories or create menu plans. Your beliefs would be so ingrained that eating in moderation would come as naturally to you as breathing comes to the rest of us. I personally wasn’t brought up in this environment, so shifting my own beliefs about food has taken some time and is still a work in progress. In addition to beliefs about food, our self perceptions can influence eating behaviours as well. When somebody refers to themselves as a fat person, this is usually a reflection of how they see themselves in their minds eye. When a person sees and thinks of themselves in certain way, their everyday actions almost always reflect their beliefs and thoughts about themselves. When a person tries to act in a way that violates their strongest beliefs, they will always feel a huge surge of discomfort. For example, if you think of yourself as an honest decent person; then the act of lying, cheating, or scamming others would feel completely out of character. And without a strong reason to continue, you wouldn’t keep it up for long. So yes this is my rather long winded response to why I believe eating impulsively can work for some, but not for all. It really boils down to your programming, your relationship with food and a milion other variables. Please feel free to use the comment box below for any questions. Also, friendly discussion is encouraged and I'd like to hear what others have to say on this topic. Admiring the hard work you put into your blog and in depth information you provide. It’s good to come across a blog every once in a while that isn’t the same old rehashed information. Excellent read! I’ve bookmarked your site and I’m adding your RSS feeds to my Google account. Veгу good infοrmation. Luckу mе I ԁіscovereԁ your website by accіdent (stumbleuрon). I have bοoκmarked it for lаtеr!